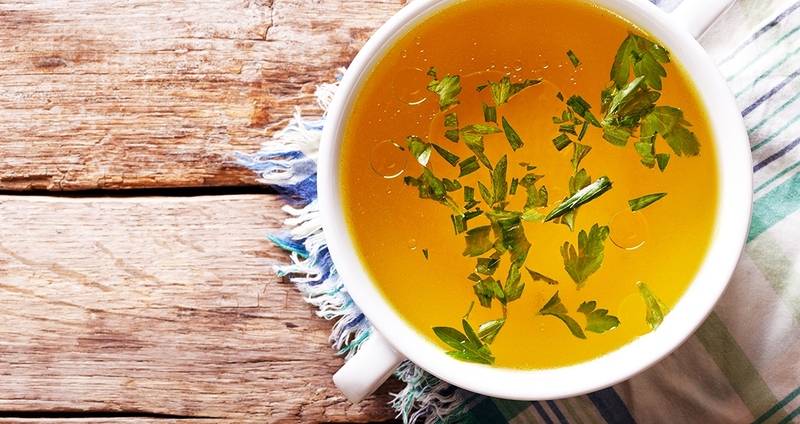 Is Bone Broth for You? From Brodo Broth Co. in New York City to Broth Bar in Portland, Oregon, trendy spots across the nation are serving up steaming mugs of something other than coffee. Bone broth is an old-world remedy used by cultures around the globe. Its benefits, while not scientifically proven, are thought to include improving digestion, restoring mineral balance and electrolytes, easing joint inflammation, boosting the immune system and protecting bones. So, what exactly is it and should you jump on the broth bandwagon? Bone broth is similar to stock, but the addition of cider vinegar during the cooking process leaches health-promoting minerals, such as calcium, magnesium and iron, out of the animal bones and into the liquid. It’s also cooked way longer—for up to three days on a low temperature to preserve the marrow and gelatin. Stock, on the other hand, is generally simmered for only about a half-hour, with a focus on flavor rather than the minerals and gelatin content. Should you jump on the broth bandwagon? It’s not that the amino acids, minerals, collagen and healthy fats found in bone broth aren’t available in other foods; it’s just that a steaming mug of this nutrition powerhouse is perhaps the most easily absorbable, soothing, nourishing and delicious way to get these nutrients. A cup or two a day between meals or even one in the morning as a pick-me-up instead of caffeine can lend a powerful boost of nutrition to your diet. If you don’t live near one of the new hotspots serving up broth, you can find several sources at grocery stores or online. Good-quality bone broth should be made from the bones, tendons and organs of organic, pastured animals or fish, along with purified water, spices, herbs and that dash of vinegar. If you have a little patience, you can also make your own broth pretty easily. Just follow this recipe, which is adapted from Sally Fallon’s Nourishing Traditions. Place the bonier bones (i.e., not much meat) in a very large pot with vinegar and cover with water. Let stand for one hour. Bring to a boil. Use a spoon to remove the scum that rises to the top. Reduce heat and add the thyme and crushed peppercorns. Simmer 12–72 hours. You will now have a pot of brown liquid containing globs of gelatinous and fatty material. It may not smell particularly good. Strain the lot into a large bowl (you’ll need to use tongs or your hands to pull out the bones). Let cool in the fridge and then remove the congealed fat layer. Divide into containers to freeze or eat.